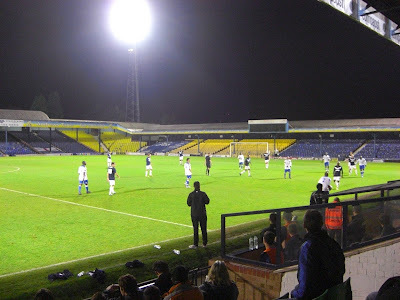 My seventy-seventh stadium of 2011 was on Wednesday 9th November 2011 at Roots Hall in Southend-on-Sea, Essex. 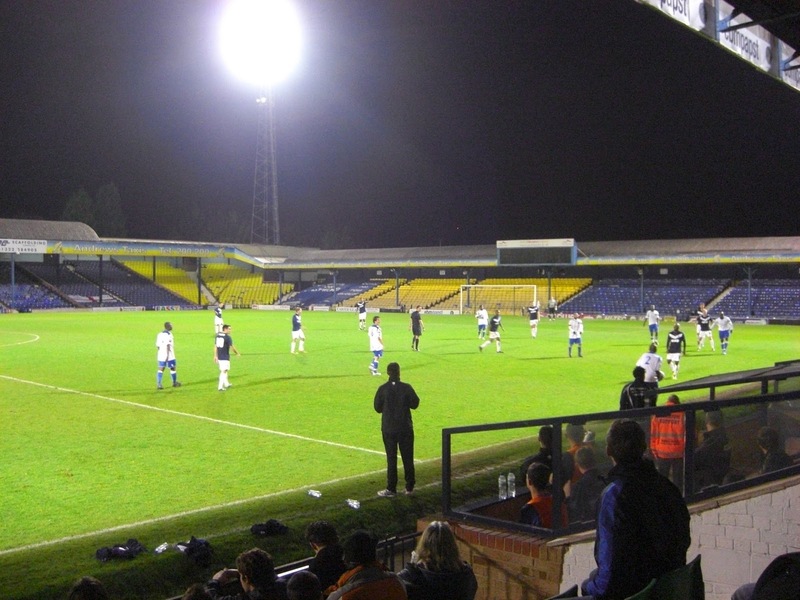 The match was Southend United vs. Waltham Forest in the Essex Senior Cup 3rd Round. 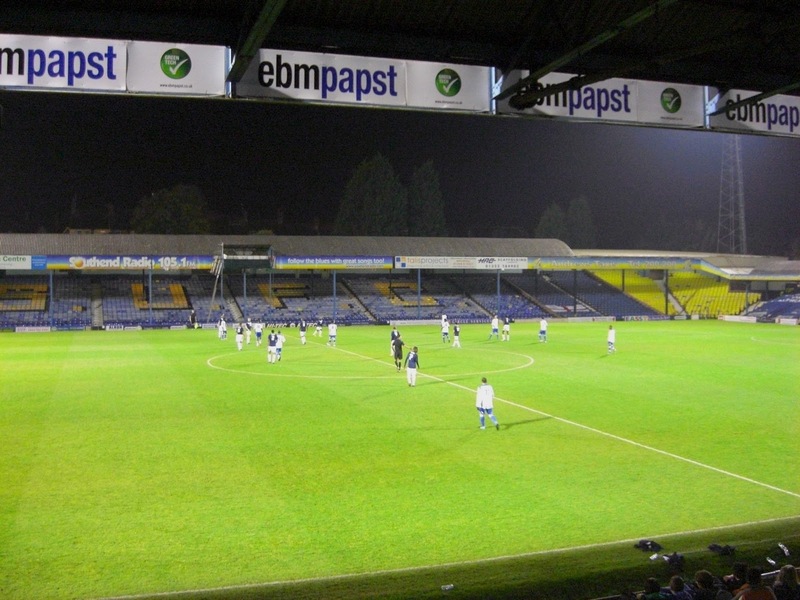 Roots Hall is located just under half a mile from Prittlewell railway station in a residential area just north of the town centre. 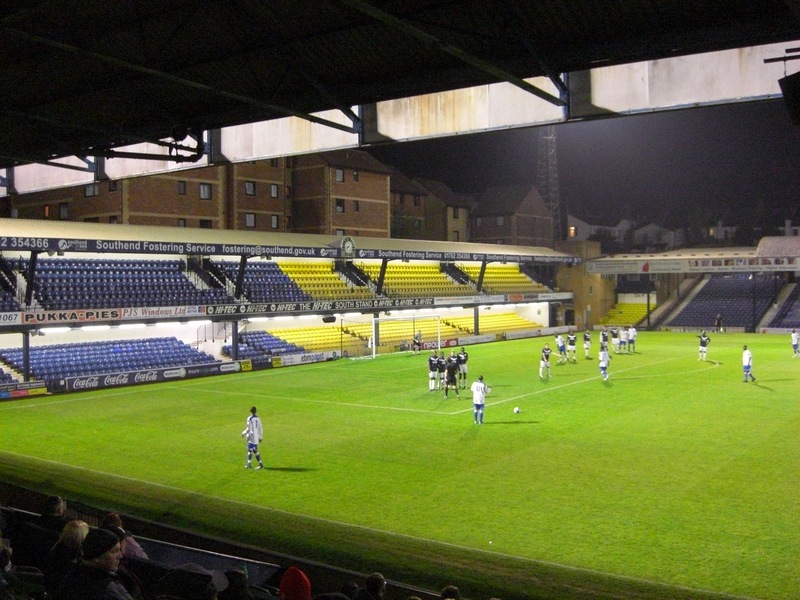 The ground has been home to Southend United since 1955. 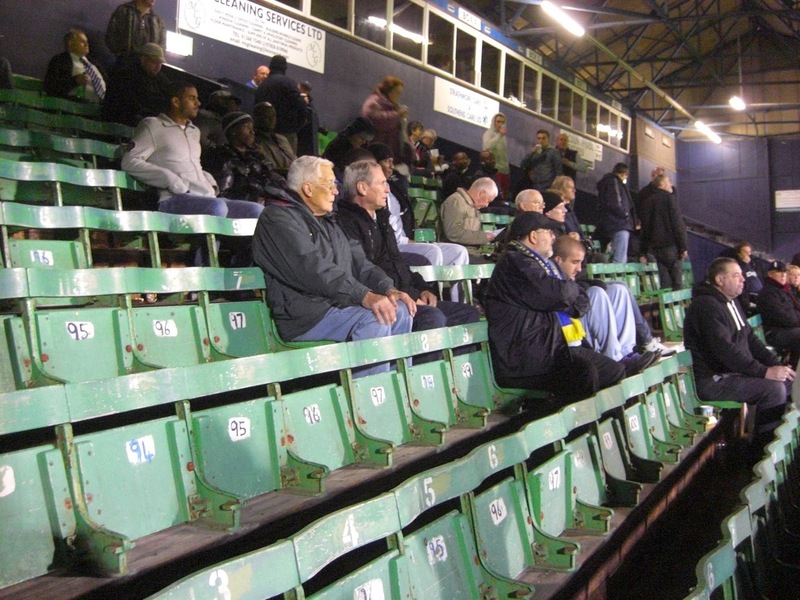 Due to downsizing in the 1980s and converted the stadium to an all-seater in the 1990s Roots Hall is smaller than it used to be with its current stadium capacity of 12,400 around one-third the venue's capacity prior to the changes. The ground is rather compact and cramped for spectators and the club have been looking to move to a new development at Fossetts Farm for the past few years. 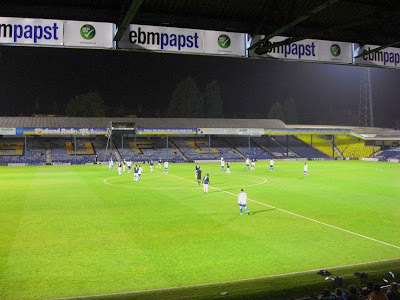 The most recent change to Roots Hall was a new two-tiered South Stand added in 1994 on the former site of the huge South Bank Terrace which was sold off to housing developers. Because of the houses that border the ground, the South Stand is very narrow, with just six rows of seats on the upper level and seven rows of seats on the lower level. Behind the opposite goal at the northern end of the ground is the North Stand which accommodates away fans. Adjoined to this is the West Stand which runs alongside the pitch. Although all the stands in the ground suffers from numerous supporting beams which restrict views, the West Stand is the worst for this with over 20 of them in the structure. Opposite this is the East Stand, a mixture of wooden seating in the upper part and more modern plastic seating in the lower part. This was the only stand open for the game so I watched the action from here. The game was an Essex Senior Cup 3rd Round tie between League Two side Southend United and Isthmian League Division One North side Waltham Forest, with the hosts putting out a reserve team for this match. The first half was a dull one without a single shot on target although Southend did have a header ruled out for offside on the half-hour mark. Towards the end of the half the hosts looked the more likely to score and they continued this into the second period with a combination of Waltham's goalkeeper and the post denying them the lead. In the 70th minute though it was Waltham who took the lead after a corner was knocked over the Southend keeper at the near post. The League Two side pressed ever harder for a goal and struck the post again from a spectacular 30-yard drive shortly after. However, with 10 minutes to go Waltham made a mess of clearing the ball from their area and Southend rifled the ball into the roof of the net. No more goals were scored and when the final whistle went the game immediately advanced to a penalty shoot-out. Both teams were successful with their first five spot-kicks but Waltham missed their sixth penalty putting Southend into the next round.